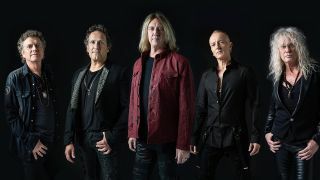 Def Leppard: The Sin City Residency will see them take over Zappos Theater at Planet Hollywood Resort & Casino between August 14 - September 7, with tickets going on general sale from 10am PT on Saturday (February 16). Aerosmith had previously confirmed 18 shows at the Park Theater at the new Park MGM resort in April, June and July – and now they’ve added 17 more shows. The new dates will run between September 21 and December 4. Like Def Leppard, tickets for the new shows will also go on sale at 10am PT on Saturday morning.